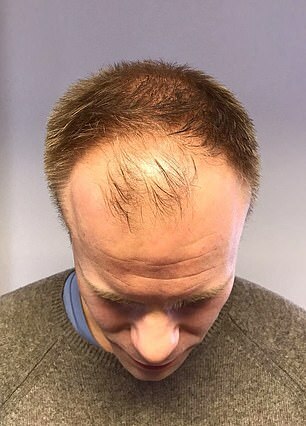 BBC weatherman Simon King showcased the results of his hair transplant during after he saw his hairline disappear before the age of 40. 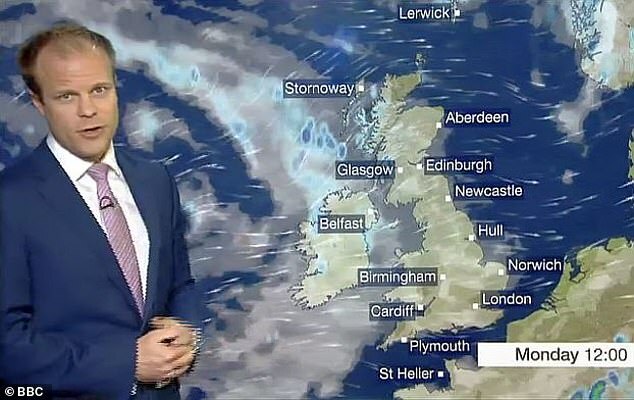 The 38-year-old presenter delivered his weather forecast with a military style crew cut after having had his hairline rebuilt during his holiday break. And the ex-RAF officer says he now has ‘a new confidence’ having grown self-conscious while watching his hair slowly recede on screen. He explained: ‘I’m a self-conscious person and seeing myself in my autocue every day made it worse. Over the past couple of years I really noticed my hair thinning. King also admitted feeling ‘jealous of guys with great hair’ as his ‘hairline disappeared entirely’. He explained: ‘I became pre-occupied with other men’s hairlines and haircuts. Watching my forecasts back I imagined how I’d be with a full head of hair. 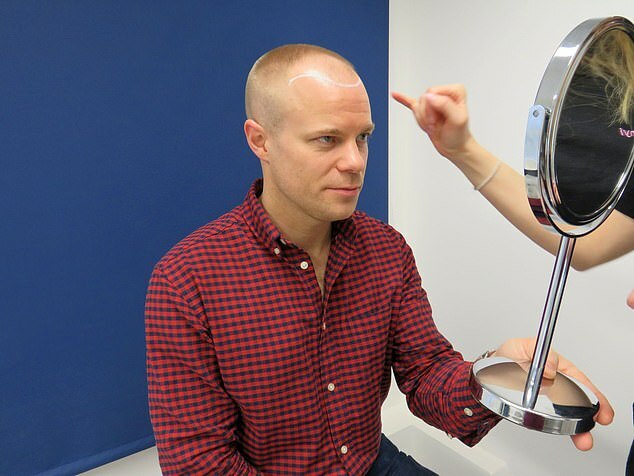 The married father-of-two had his new hairline created at Ryan Giggs’ Cheshire MHR Clinic. 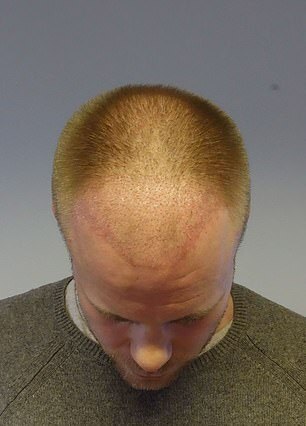 His procedure saw 3700 hairs extracted from the back of his head. 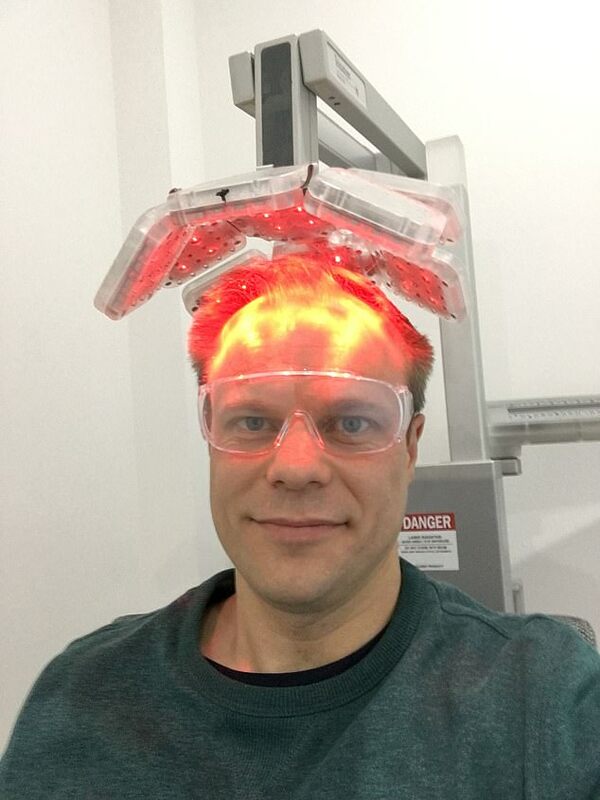 He also takes hair loss tablets and undergoes regular laser therapy to thicken the hair on his crown. After unveiling his new look to BBC viewers, King took to Instagram to pre-empt any trolls and haters. ‘Some people may call me vain. Others will say worse things, I’m sure. It is a personal decision and it wasn’t a difficult one for me. And Simon isn’t the only one to see a change since his transplant. 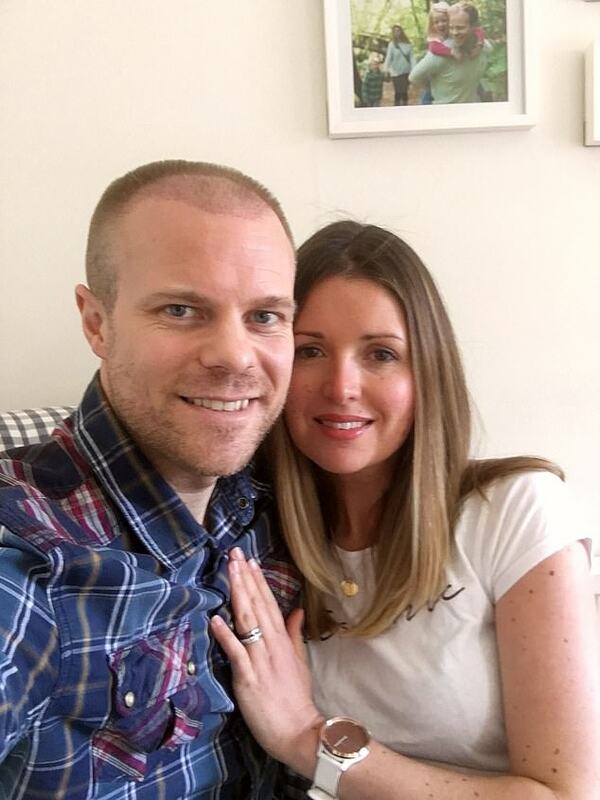 His wife Emma has taken an immediate liking to MHR Clinic’s handy work. 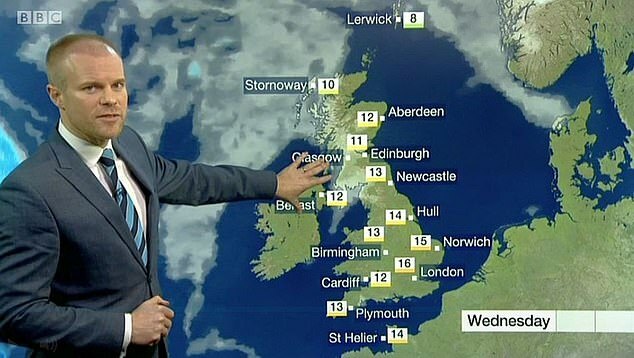 The weatherman beamed: ‘There’s a new confidence in me and I feel happier. Mrs King has noticed it too. 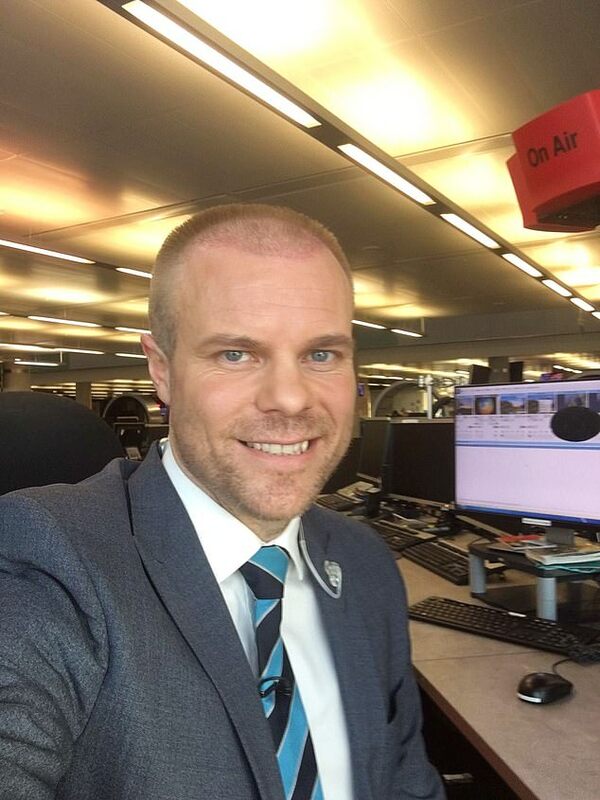 BBC viewers will also get to see King’s transplanted hair grow into its new guise as he delivers daily weather bulletins over the coming months. MHR Clinic also transformed referee Mark Clattenburg’s appearance with a two day 4000 follicle procedure. 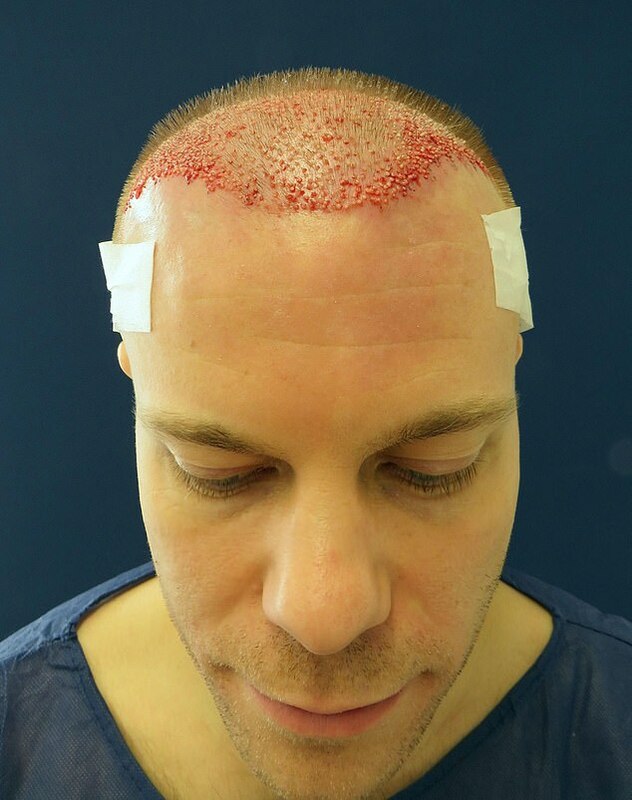 It completed former England cricketer Michael Lumb’s 600 follicle procedure and was recently credited with restoring soap star Adam Rickitt’s severely thinning pate with only medical treatments. The business owned by Wales manager Ryan Giggs, former England cricket captain Michael Vaughan and hair restoration expert Craig Henton will open a new clinic on the Harewood Estate in Yorkshire next month.